Comedy fans rejoice! 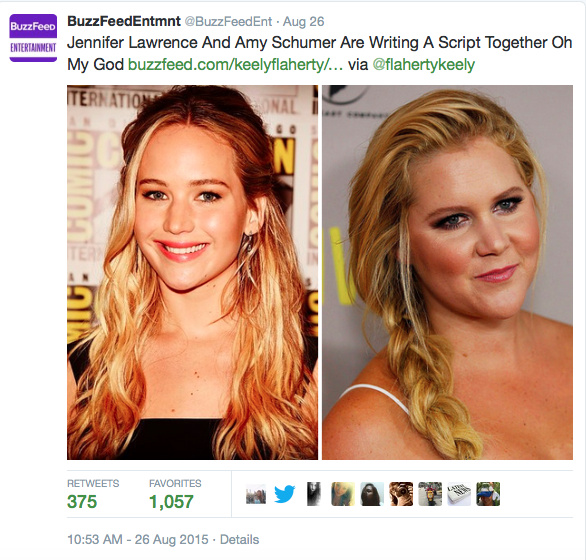 Amy Schumer and Jennifer Lawrence are writing a screenplay together! A few weeks ago these two comediennes and actresses were spotted hanging out together, and it looks like they hit it off. It sounds like the movie is going to be a cool comedy, and we could not be more excited. These two also crashed a Billy Joel concert and danced on his piano during “Uptown Girl,” so there’s that too. Taylor Swift has been performing in Los Angeles for five nights in a row, and each night she kept topping herself with her special guests. On Wednesday night, Taylor brought out Lisa Kudrow, who played Phoebe on Friends. These two performed “Smelly Cat” together, and the crowd went wild. Also that night, Taylor brought out Selena Gomez and Justin Timberlake. Seriously. Betty White announced that she is going to be guest starring on an upcoming episode of Bones! Not much is known about who she will be playing, but we can’t wait. Be sure to look out for this episode. Bones also plans on doing a cross-over episode with fellow Fox show Sleepy Hollow. Sounds like a great season! 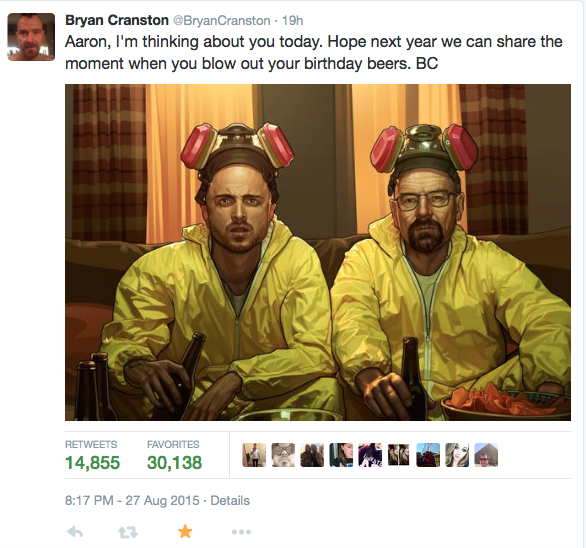 Thursday was Breaking Bad star Aaron Paul’s 36th birthday, and Bryan Cranston tweeted a touching message for his former co-star. Aaron responded with an equally amazing tweet, making us all miss these two together. Let’s get them in another show together, stat. Are you excited for Jennifer and Amy’s screenplay? And what did you think of “Smelly Cat”? Let us know in the comments or tweet us using #glamorouspaper! MTV’s “Catfish” Returns Next Month!